If you’re not using benefits to attract talent to your small business, then you’re missing out. Oftentimes small businesses can’t afford a large starting salary, but there’s good news. An impressive salary may only work initially to hook a top candidate. When businesses fail to offer employee benefits that promote a healthy work-life balance, their employees may leave for different job with less pay but better benefits. In fact, a 2016 Aflac study found 72 percent of millennials would likely take a job with lower pay, but better benefits. And with millennials representing the largest segment of the U.S. workforce, these are insights business owners can’t afford to ignore. Here are three ways to effectively use your employee benefits package to attract top talent to your organization. Find out how-to use the right benefits to attract talent and inspire employee loyalty and productivity. 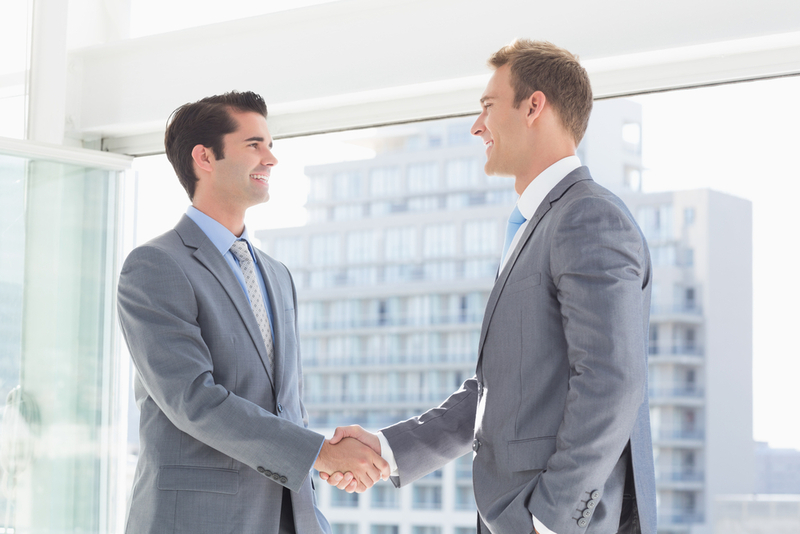 The benefits conversation should be at the forefront of your recruiting process. If you’re waiting for the onboarding process to start the benefits conversation, you’re waiting too long. 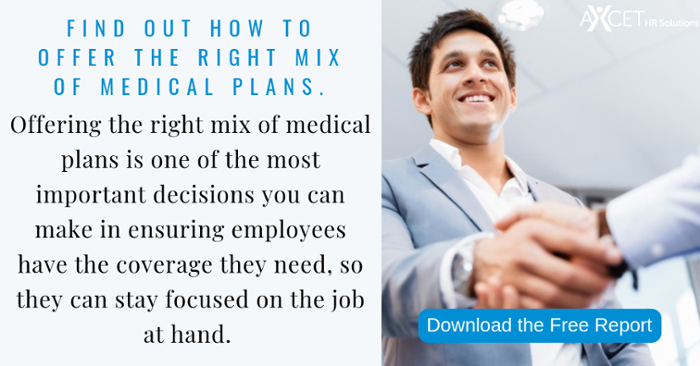 A simple way to implement this is to include your business’ employee benefits offerings in your job descriptions. While some benefits will be the similar to the competition, this is a great time to showcase why yours are better, along with your additional, non-traditional offerings. When discussing compensation, don’t simply speak in terms of salary. Compensation is a total package including salary and benefits. Factors such as vacation time, work location, flexible work arrangements, wellness benefits, medical insurance, retirement plans and paid time off to volunteer all factor into the total compensation amount. According to the Society for Human Resource Management (SHRM), salaries only account for 69 percent of the average worker’s total compensation package, with benefits accounting for the other 31 percent. While traditional benefits, like health, retirement and paid vacation, consistently rank as some of the most sought after benefits, a strong lineup of unconventional benefits can set your company apart from the competition. Let’s face it, in today’s tight labor market, simply offering the “standard” benefits package isn’t going to cut it. By offering non-traditional benefits that support a healthy work-life balance for your employees, you’ll be able to better recruit talent, have happier and more productive workers, and retain employees longer. So, what types of benefits create a positive work/life balance? 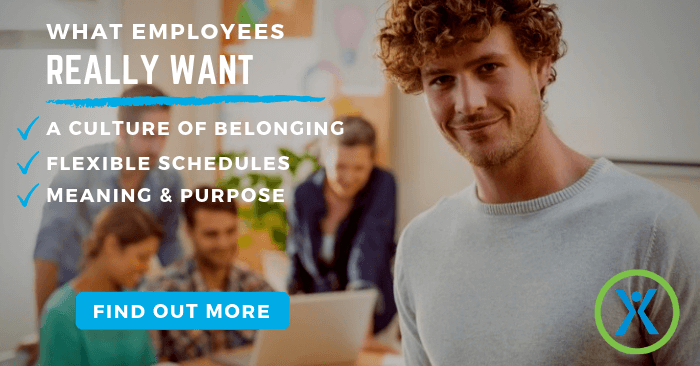 Check out these benefits that your employees may love. And remember, having a robust offering of benefits is best. There is no “one-size-fits-all” when it comes to both traditional and non-traditional benefits. Paid Time Off for Volunteering: An annual study of benefits by the Society of Human Resource Management (SHRM) found 20 percent of employers offer paid time off for volunteering, and this number appears to be on an upward trend. The driving factor? Millennial workers want to give back to their communities through volunteering their time, not simply writing out a check. Learning & Professional Development. Employees who are part of a learning culture are often more motivated and engaged. But this benefit isn’t for the benefit of the employer. Workers, especially younger generations, want to learn and grow as much as possible and, therefore, seek out careers offering ongoing learning a professional development programs. Flexible Work Schedule. The 9-5 workday doesn’t leave room for appointments or errands, many of which can only take place while employees are at work, such as the bank, post office, medical doctors, etc. More employees are requesting a flexible schedule granting them the freedom to work a full 8 hour day, but with varying start and stop times, or a longer break in the middle of the day. This give the employee some control over their schedule, shows them there employer trusts them and would allow them, if they would so choose, to avoid rush hour commutes. Another flexible schedule some workers enjoy, especially during the summer months, is the ability to work four 10-hour days every-other-week. This gives them the opportunity to get Fridays off twice per month. Ability to Work Remotely. Being able to avoid the commute, stay in your pajamas all day and still get your work done? What’s not to love? More and more workers cite being able to occasionally work from home as a benefit they would love. And today’s technology makes this possible for workers in many industries. Wellness Support. Preventative health measure are increasingly sought after. Employees want more than health insurance and are focused on their overall wellness. After all, a healthy employee is a happy employee, right? Full or partial-paid gym memberships are one of the most popular benefits in this category, but others include personal training sessions, fitness tracking smart devices (Fitbits, GearFits, etc. ), massages, yoga and access to wellness publications. A Positive Workplace Experience: Millennial workers desire an open workplace that supports co-working, employer provided snacks, coffee and filtered water, a community gaming area that may include ping-pong and air hockey tables, the ability to work from various locations in non-traditional seating vs being expected to work from the same desk every day. The quality and variety of benefits can make all the difference when recruiting and retaining top talent. When you partner with Axcet HR Solutions, we afford you a personal, dedicated Benefits/HR Consultant. This certified expert navigates the benefits minefield for you, ensures you’re legally compliant, manages the ever-growing paperwork and takes the headache off your shoulders. Visit our Employee Benefits page here to find out more information.